FLINSCO.com (FloridaInsuranceCompany.com is the long name and both URLs work) sells Auto, Home, and Commercial. We have the largest call centers for auto insurance in the state of Florida that isn’t an insurance carrier. For a quick Auto Quote, visit our page. You can choose from 30 name brand carriers. We are a Florida insurance agency. We offer Quotes Statewide, Online or By Phone. Get instant online quotes. Talk to a licensed agent. Find affordable coverage. Auto. Home. Commercial Liability. Health Insurance. Our comparison quote engine gives you access to the best plans in Florida with detailed pricing, ratings, and coverage data. Get a clear picture of your policy before you buy, and check rates with other companies side-by-side. We work directly with Clutch Analytics, the leading insurance quote technology on the market. Our Homeowners Department has every carrier in Florida, thanks to our locations in different areas of the state. We also have literally an all star team of agents. Like our auto agents, our home agents find the cheapest company to offer you peace of mind. We don’t write carriers that don’t pay claims. You can get a homeowners quote by calling 800.218.0250.
from workers compensation to your commercial vehicles. Using our auto quote form, you can literally buy a policy and speak to no one. Yes we are open Sunday! But not to sell policies, to be there for our clients. We hate voicemail and should you get it, relax, and have a coconut-flavored adult beverage. Our home form will run a quote estimate but we will need to review it before binding. But filling out the form saves us both time. If you want to shop your auto insurance, go right ahead! Or call a live, licensed agent at 888.307.1907. FLINSCO.com writes insurance for every major carrier in Florida. It is confusing why GEICO, State Farm, Progressive etc. run commercials all day for one product. We can beat them with their products and a ton of others as we write 30 carriers. Call them first if you like, and then I guarantee you bind with us when the price is the same, but it won’t be… it will be lower. 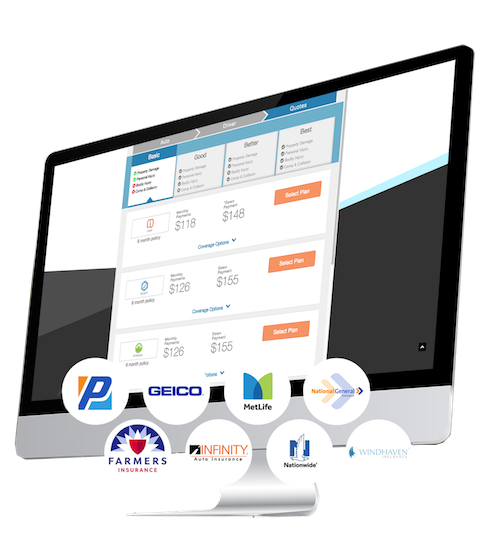 FLINSCO.com doesn’t charge fees and when we run an auto quote, we don’t decide, we help you choose the best product for your situation. There are other agencies, but I guarantee that you will be surprised by the unusual fees. Most should be shut down by the Department of Insurance for sliding fees. Not us. FLINSCO.com lives by ethics. People shopping for auto insurance in Florida love us. Find out why working with Flinsco.com is always a pleasant experience.